As I’ve mentioned in the past, I have a slight addiction to giving indie developers my hard-earned cash on Kickstarter. I can’t help it — I want everyone’s dreams to come true! Not all titles come to fruition, but luckily Ikenfell is not one of them. The title is about a school of magic and it’s students. Inkenfell been in development for a good two years now, and the newest trailer named “Paint the Future” showcases original music and gameplay. And here it is for you! Ikenfell is a turn-based RPG — my favourite genre because it allows me time to contemplate decisions — following students as they seek one of their own who has gone missing. It promises tactical elements too, and when combining that gameplay style with the colourful graphics and catchy music, Ikenfell is a can’t-miss title. Ikenfell is on track for the targeted release of this (Northern) summer; it will be available via Steam and the Humble Store for PC/Mac. The dev team is comprised of Chevy Ray (design, art, code), Aivi & Surasshu (music), Em Halberstadt (sound design), Rachel SIM (sound design), Hunter Russell (misc. animation), and John Pilsen (BizDev, Humble). An English developer, Quarter Circle Games, has announced an alien horror game set around the time of the 1947 Roswell crash. In it, you’ll be playing as a detective trying to figure out what happened to the residents of a now-deserted house. As part of the announcement, the developer has shared a lengthy gameplay trailer, and, yeah, it really does look both atmospheric and horrific. In addition to the obvious horror bits, we also get to see a stealth section (stealth takedowns and all), which highlight that this isn’t going to be one of those “walking simulator” horror game. At the same time, it looks anything but action based, so it might be more similar to something like Call of Cthulhu: Dark Corners of the Earth? I’d be up for that. No idea on when the full game will be released — at the moment it’s just “coming soon,” but we do know it’ll be released for PlayStation 4 and Xbox One, as well as PC. YES! The people that made the Blood Bowl game are back with another Games Workshop title! Focus Home Interactive and Cyanide Studio — the developer of the excellent Blood Bowl games — are again working on a Games Workshop (the house of Warhammer) franchise. 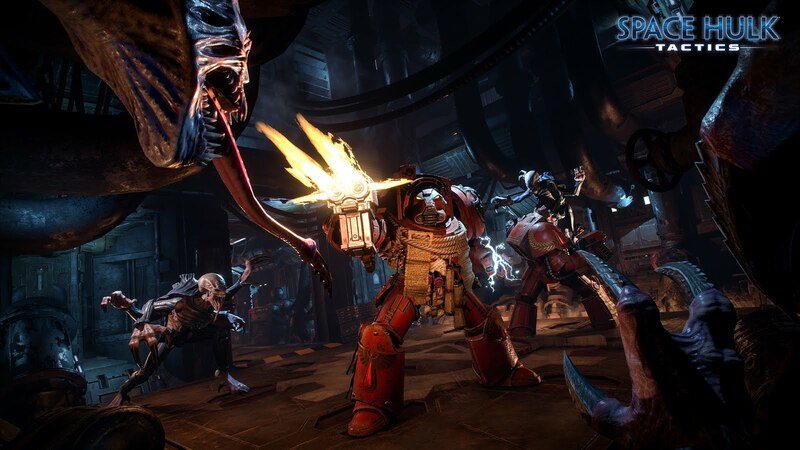 This time around the team is developing a Space Hulk title, called Space Hulk: Tactics. Space Hulk, for those who aren’t aware, is a strategic board game that has been around for a very long time, depicting an ongoing war between humans and a species of aliens called the Genestealers. If you were to take the Alien movie franchise, and convert it into a turn-based board game, you’d basically be at Space Hulk. This Space Hulk Tactics game promises to be that board game, but with extra strategy involved in a “card” system. Cards will apparently allow you to customise your squad before a match by giving them abilities that can be used to turn the tide of battle at the right moment. The last game based on Space Hulk wasn’t overly great (I did a short review of it here), but hopefully Cyanide — a developer that does remarkable things on shoestring budgets — is able to do this one justice. As if we needed even more of a reason to pack up and move to Japan — yet here it is, a reminder that in Japan arcades are still big. The closest thing to an arcade near me here in Canada is a few machines based on mobile titles (Flappy Bird, Crossy Road) at the local cinema. But in Japan, there are magical places where an arcade machine actually belongs, and where that one machine can connect to others for multiplayer action. So what am I rambling about? 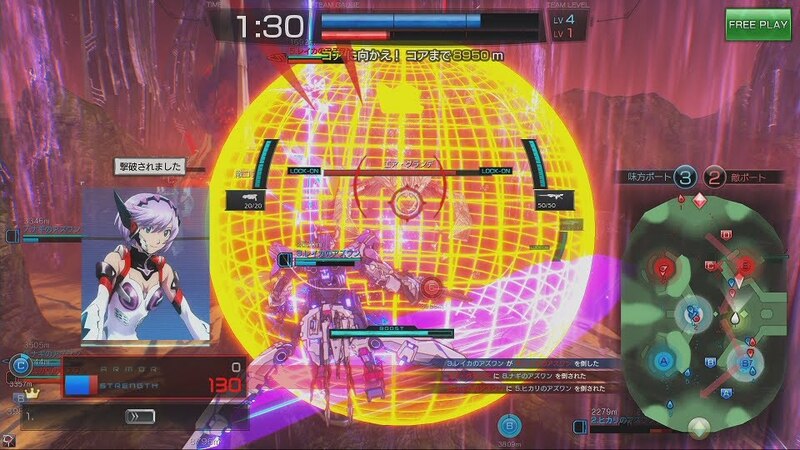 Square Enix has announced Starwing Paradox, coming to arcades late this year. Starwing Paradox is described as a “high-speed competitive mecha action” game for up to 16 players. Your in-game movements are echoed by the arcade machine itself. It’s a major project, with several big names behind it. The game will be playable at the Japan Amusement Expo 2018, which takes place later this week in Chiba.